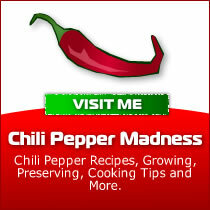 Chili Pepper Madness is part of the growing Madness Series. 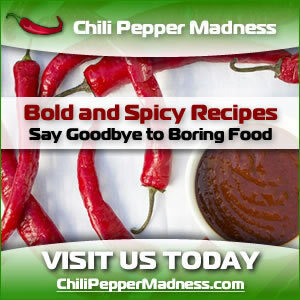 If you love food and cooking creativity, you might enjoy our other sites. Check them out! 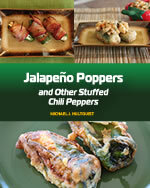 Dedicated to Chili Peppers - cooking with chili peppers, preserving chili peppers, growing, and more with plenty of recipes and information on chili pepper types. 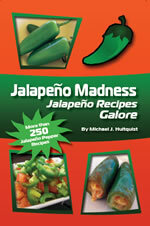 Dedicated to Habanero Peppers - cooking with habaneros, preserving habaneros, and more with plenty of recipes and habanero love. Dedicated to seafood recipes and cooking tips - includes recipes for crab, lobster, marlin, swordfish, scallops, tuna, shrimp, salmon, tilapa and more.